Last Friday there passed away at Blythswood Square a distinguished son of the East End, in Mr. David Fulton. R.S.W. the noted Scottish artist. This famous painter was a native of Parkhead, born in the 30’s of the last century, the last surviving son of the late Mr. William Fulton and his wife Mary McCulloch, noted Parkhead people. Mr. Fulton was the product of a famous East End seminary, Annfield Academy, the building now occupied by Scott’s Picture House at Gallowgate, where many brilliant men were educated sixty years ago, several of whose names are now famous in Scottish life. After leaving Annfield Academy he studied painting at the Glasgow School of Art, where he carried off a number of prizes. His works early found favour and all through his career he was a regular contributor to the annual exhibitions of the Royal Acadamy, the Royal Scottish Acadamy, the Royal Glasgow Institute and the Royal Scottish Water Colour Society, and in Venice, Praque and St Louis. 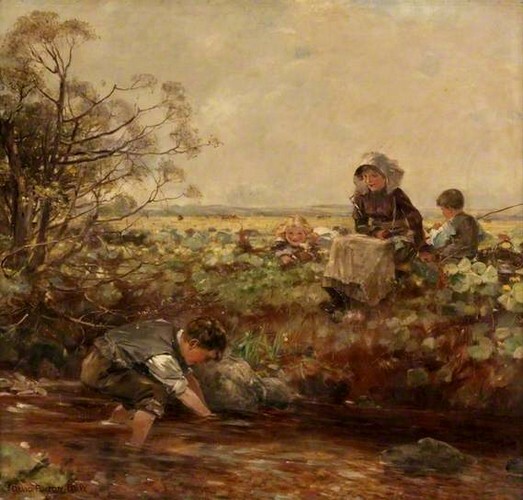 A number of years ago an important painting by David Fulton, “By the Burnside,” was acquired by Glasgow Corporation for their collection at Kelvingrove, and his art is also represented in the public galleries of Padua and of Praque. A good many of his paintings have been reproduced by publishers. 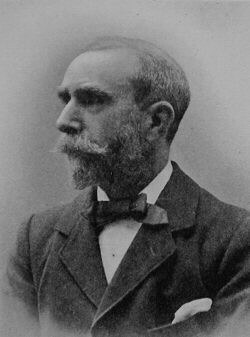 Mr Fulton was one of the earliest members of Glasgow Art Club. He was a member of the Glasgow Institute, and in 1891 he was elected a member of the Royal Scottish Society of Painting in Water Colours, Mr. Fulton was not married. Taken from The Eastern Standard 8 February 1930. I have found some of his pictures in private collections in Spain.